Harvey's birthday falls on Halloween. He didn't have a first birthday party because I was suffering from morning sickness with Seb. 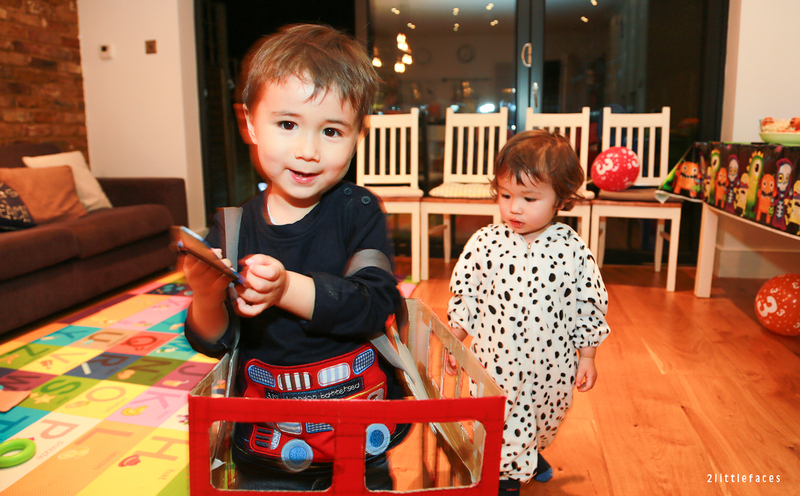 But for Harvey's second birthday we had a joint Cars, Trains and Planes party with his little NCT bro. 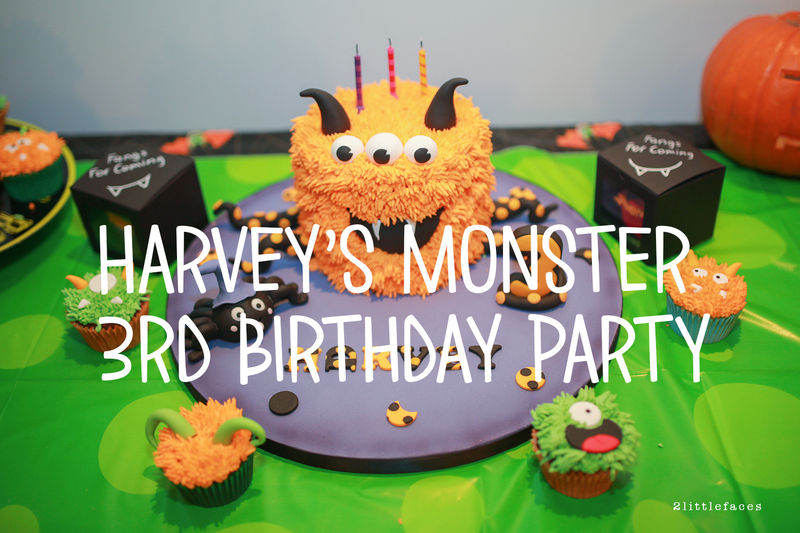 And for Harvey's 3rd birthday we had a Halloween Monsters Party. We had it at the house so we could go trick or treating. It was fun. There were cupcakes, food for the kids, pizza and booze for the adults. A perfect night for everyone. 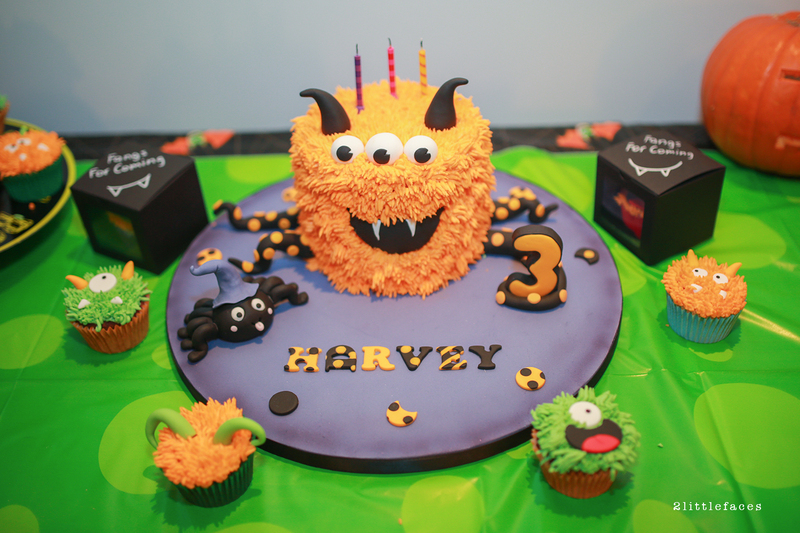 As it was for little people, the theme could not be scary so I did Mini monsters. I drew some cute monsters with witches hats and monster horns etc. Had some printed and made some from coloured card and sticky round circles. 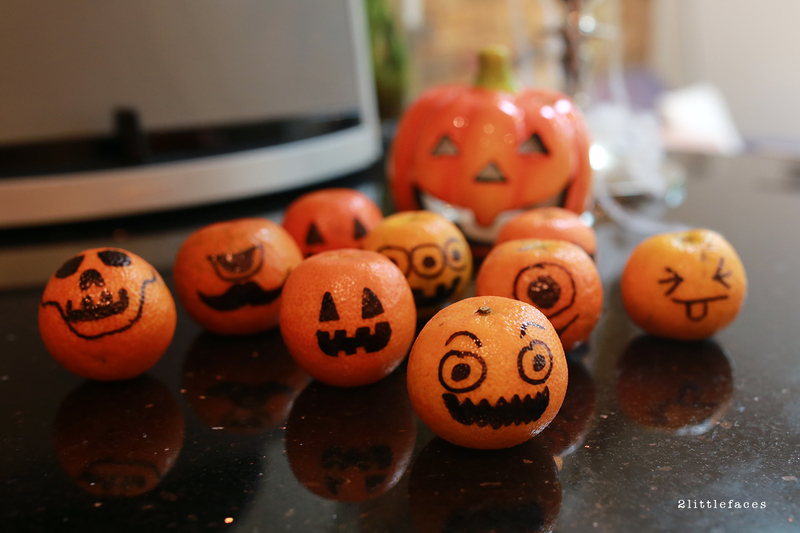 Also, the boys and I made some easy magnet monsters which would be great for a party activity. We had superheroes, witches, zombies, pirates, princesses, the Gruffalo, a puppy and Harvey the, umm, bus. 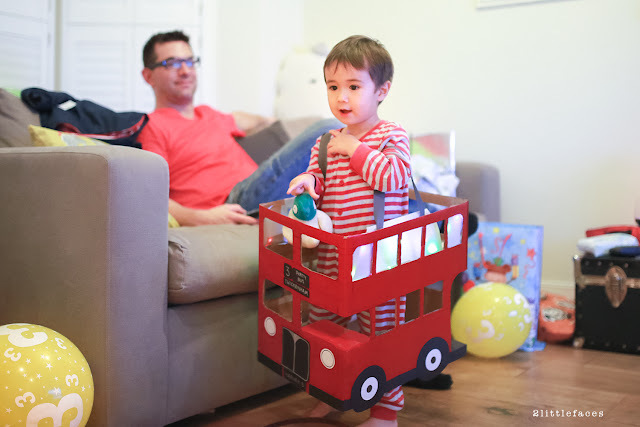 Yes my son, born on Halloween, wanted to dress up as a bus. Not a bus driver, but a bus. And this year is no different. He wants to dress up as a train. ;/ I just need to convince him to be something else. A dragon perhaps? Look at these little dudes! Once all the little guests had arrived we all went down the street for a bit of Trick or Treating. Even though there were only a few houses participating it was just enough for the little ones. It was the first time for some of our little friends. 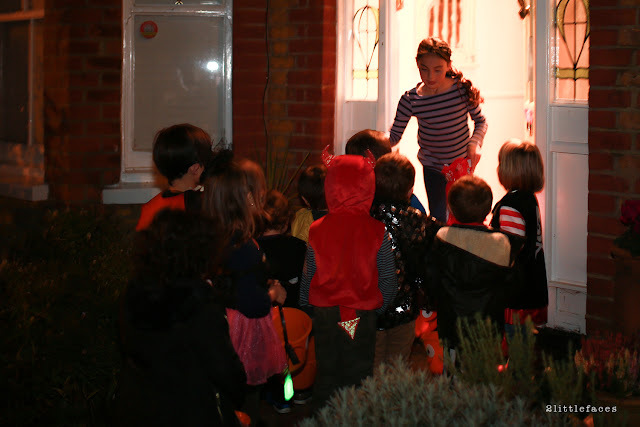 After trick or treating, we all headed back to the house for cake and food.